The fourth annual Oklahoma Songwriters Festival, co-presented by Grand Casino Hotel & Resort and the Oklahoma Film + Music Office (OF+MO), will take place Friday and Saturday, April 12-13, with a ticketed Friday evening dinner, a Saturday morning Songwriting Camp and the state’s one-of-a-kind musical round table, The Songwriter Showcase, on Saturday evening. The Oklahoma Songwriters Festival was created in 2016 by Ada-native Zac Maloy, singer and songwriter for The Nixons – an Oklahoma-based rock band that rose to fame in the 1990s – in an effort to highlight songwriters and the art of songwriting. Each year Maloy returns home from Nashville, Tennessee, to Oklahoma for the festival, inviting award-winning Music City songwriters to perform and write alongside local musicians. 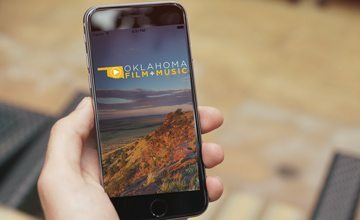 For the third year, the festival will include a Songwriting Camp, presented by the Oklahoma Film + Music Office, at Castle Row Studios in Del City at 11:00 a.m. This workshop will include an interactive panel discussion and Q&A with songwriters. A one-on-one mentoring session with both Maloy and Nashville songwriter Marcus Hummon will be given away to two attendees. The Songwriting Camp is free and open to the public. The festival will conclude with the annual Songwriter Showcase, taking place at the iconic Tower Theatre that Saturday evening. The Showcase will begin at 7:00 p.m. with a presentation format frequently used in Nashville, called a “writer round”. This event will start with a local round, with the main event featuring Nashville songwriters singing the hits they’ve penned and telling the stories behind the music. Along with Maloy, this year’s Nashville-based songwriters include Oklahoma-native Brett James, ASCAP’s 2010 Country Songwriter of the Year (credits include Carrie Underwood’s “Jesus, Take the Wheel” and more), Tulsa born David Hodges, former member of Evanescence (credits include Evanescence’s “Bring Me To Life” and more), and Marcus Hummon, dubbed Nashville’s Renaissance Man (credits include Rascal Flatts’ “Bless The Broken Road” and more).